You always have fun when you’re eating crab cakes. Actual fact. But, here is the thing about crab cakes: Lots of work. I made Wolfgang Pucks recipe once and it took me about an hour. They were really incredible, so if you ever get your hands on some really amazing, fresh, never touched a can, right out of the sea- kinda crabs, that would be a worthy recipe to slave over. This time of the year, food is more about the biggest shine for your time. You have about a zillion things to cook for right now: the holidays, your office party, your kids school gathering-that-we-legally-can’t-call-a-party party, AND family type people. Here you go: 15 minute crab cakes. Looks super fancy, like you spent that hour I spent with those other crab cakes, craveably addictive, AND 15 active minutes, then bake. In the bowl of a stand mixer, beat the cream cheese until softened. While the mixer is on high, add the eggs, one at a time until well combined. Reduce speed to medium and lemon juice, mustard, and hot pepper sauce, mix until combined. Add the Old Bay, salt, pepper, onion powder, garlic powder, green onions and mix until combined. Add ½ cup Panko and flour and mix until combined. Remove the bowl from the stand mixer and stir in the crabmeat with a wood spoon or spatula. Very generously grease enough mini muffin tins to hold about 18 mini crab cakes. Add the crab mixture to the wells of the mini muffin tins until just below the top. 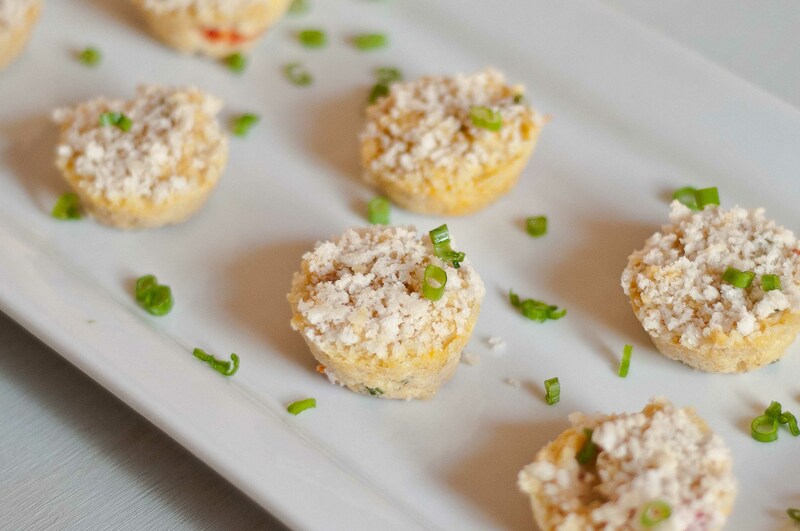 Sprinkle the top of each mini muffin with the remaining ¼ cup of Panko. If I don’t own a mini muffin pan, can I make this in a regular muffin pan? I don’t recommend it. My guess is that by the time you get the inside cooked (about 30 minutes) the outside will be burnt and dry. But my other guess is that if you buy a mini muffin pan, you will use it all the time. I like to dip things, What about a dipping sauce? I like to dip things too. Easy dippin’ sauce, since I know you have a ton of other things to do: 1 cup sour cream, 1 tsp garlic powder, ¼ tsp smoked paprika, ¼ tsp hot pepper sauce. Adjust depending on taste, oh and throw some of those green onions on top. I don’t like hot stuff, can I leave on out the pepper sauce? They will be bland. But the small amount that is called for isn’t enough to make it spicy. They sell Tabasco in supper tiny bottles, and it lasts for about a million years in the fridge. Take a second to like my Facebook Page to receive info about new post in your feed. I like the method of preparation, great time saver! They also have a tasty appearance to them. Well done-this is a keeper-yum! These look great! That reminds me, we never did the blue crab boil. I am still in for next summer! These look incredible. 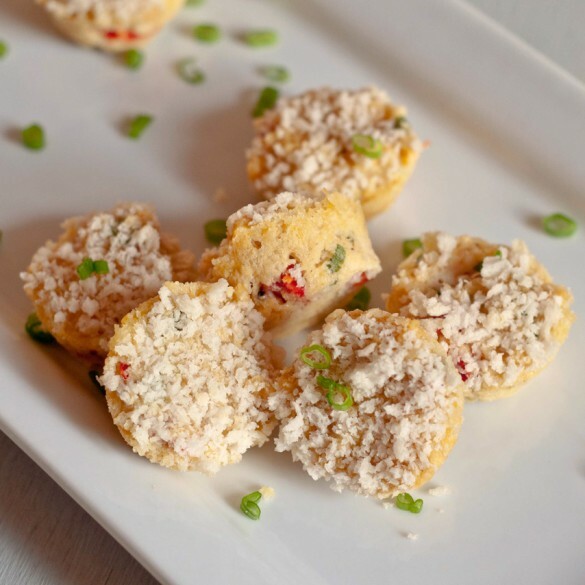 I love crab cakes – and was going to make crab and sweetcorn soup today – but I think I’m going to switch and make these instead.